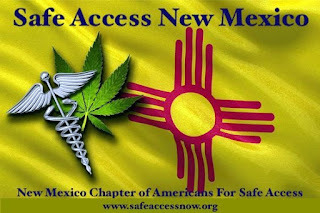 On Thursday, April 4th 2019, Governor Lujan Grisham signed into law SB-406, Medical Cannabis Changes. This is the first major change to the state’s medical cannabis program since the passage of the original law in 2007. There were many changes to Senate Bill 406 as it went through the legislative process at the Roundhouse, as the bill was gutted there are still several benefits for the patient community. June 14 2019 is effective date of legislation not a general appropriation bill or a bill carrying an emergency clause or other specified date, which is the case with Senate Bill 406. The new Medical Cannabis Changes law also provides the Department of Health two different dates for creating rules and having public hearing for those new proposed rules for the newly proposed measures in the new law. The medical cannabis community will have a chance to provide public comment for that rule making process. Here is a rundown on what is in Senate Bill 406 Medical Cannabis Changes:Senate Bill 406, Medical Cannabis Changes, Introduced by Senator Gerald Ortiz y Pino. 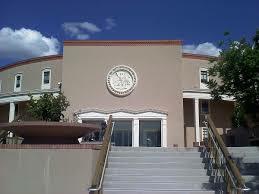 The Senate Judiciary Committee amendment to the Senate Public Affairs Committee Substitute for Senate Bill 406 adds a section to the bill and would add a section to the Public School Code (Section 22 NMSA 1978) allowing for the use of medical cannabis in schools. This is only in SB-406 because Senator Gould allowed them to add her bill, SB-204 Medical Cannabis in School, to SB-406. The first Senator Floor Amendment adds to the definition of “cannabis manufacturer.” It would now apply to those persons or entities that might “purchase, obtain, sell and transport cannabis products to other cannabis establishments (emphasis added to new terms). Employers would also be able to take adverse employment action against medical cannabis users who used medical cannabis on the job site or were impaired by use of medical cannabis, or if the employee were deemed by the employer to be in a “safety-sensitive position.” The definition of "adverse employment action" is removed. One of the biggest changes to the current medical cannabis program law is how all of the qualifying health conditions that were added to the program by rule are now all part of the written law and can no longer be removed or changed by rule. Determine additional duties and responsibilities of the advisory board and it’s newly expanded membership. The members shall be chosen for appointment by the secretary from a list proposed by the New Mexico medical society, the New Mexico nurses association, the New Mexico academy of family physicians, the New Mexico academy of physician assistants, the New Mexico pharmacists association or the New Mexico Hispanic medical association. The department shall allow for the smoking, vaporizing and ingesting of cannabis products within a cannabis consumption area. 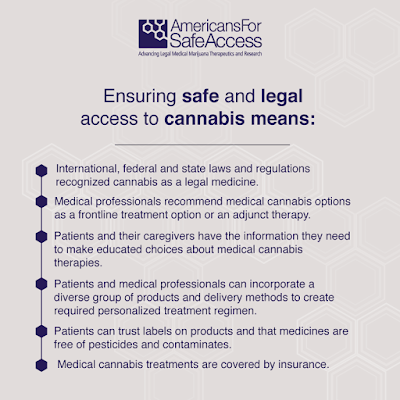 Makes the period of use of a cannabis registry authorization three years but patients must submit a provider’s statement every 12 month, stating that the patient has been examined, continues to have a qualifying condition, and that the provider believes the benefits outweigh the risks. Certification of patients can now be performed in person or via telehealth/telemedicine. By March 2020, the new law provides that Department issue rules allowing anyone with authorization in another state for medical cannabis can have the same privileges in New Mexico, and asks the DOH to specify rules for joining the other 20 states that have reciprocity in use of medical cannabis. “Qualified patient”: certified by a practitioner as having a qualifying, debilitating condition and a registration card for the program. The practitioner must have initially examined the patient in person, but can later use telemedicine to evaluate the patient. “Safety-sensitive position” being a type of employment in which persons using intoxicating substances might prove a threat to that person or other people. “Written certification,” as a statement on a DOH-approved form indicating the medical condition for which cannabis is prescribed and the practitioner’s belief that the benefits of its use outweighed the dangers.